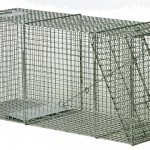 LIVE TRAP 15" X 18" X 42"
TRAP DESCRIPTION: 15" Wide x 18" Tall x 42" Long. 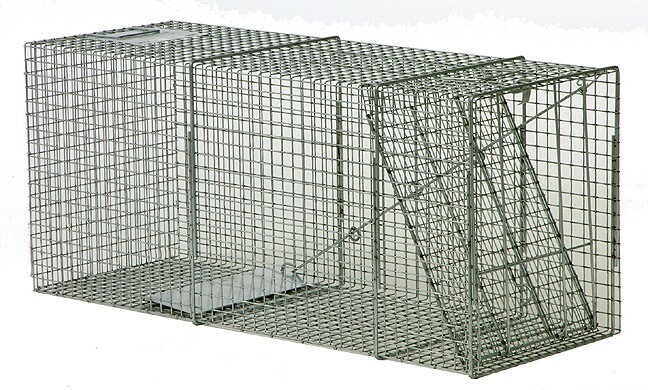 This is a great trap for animals which are long. It has an easy to set hook design which holds open the spring loaded door. There is a locking device which will prevent the door from opening once it closes. This is important when dealing with large animals which have the ability to roll a trap over. Once the door on this trap closes, the animal is caught for good. WHERE TO USE IT: Anywhere the animal frequents.